Here’s this week’s list of current printable coupons for your favorite restaurants! Whether it’s a sit down meal or a quick snack, you’ll probably find something to save you money! EXPERT TIP: Check out CardPool for Discounted Restaurant Gift Cards – and save up to 22% off your total + your coupon savings! Save 12% with a discounted Buca di Beppo Gift Card! Save 11% with a discounted Carrabba’s Gift Card! Save 11% with a discount On The Border Gift Card! 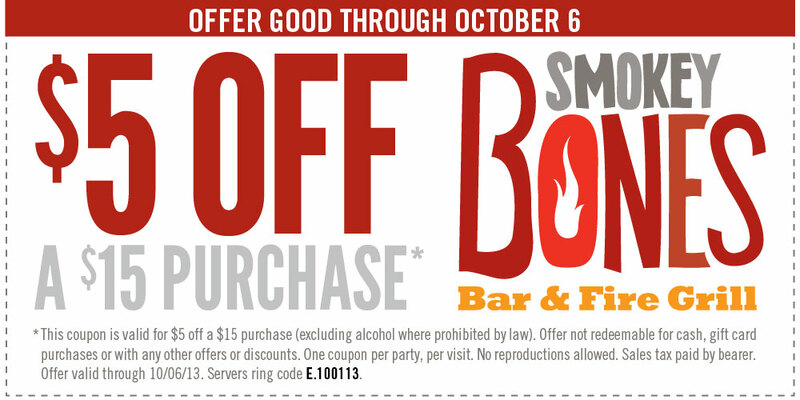 Save 10% with a discount Smokey Bones Gift Card! Save 12% with a discount Starbucks Gift Card! Save 10% with a discount T.G.I. Fridays Gift Card! Thanks, Surviving the Stores for the list!